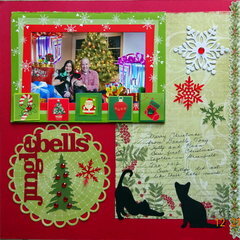 Create fun layouts with the Sizzix Circles Framelits Dies. These magnetic dies will remain in position while you're crafting. 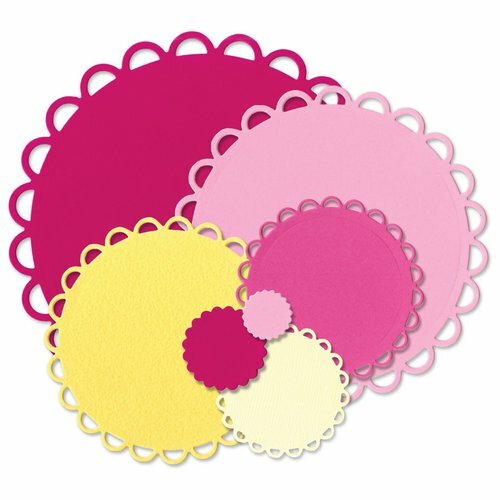 They are used to make a scalloped circle design, so you can craft amazing layouts and scrapbooks. These carbon steel dies are great for easily cutting through most cardstock, which will help you create beautiful projects. Love the wide range of size options. Scallop detail really adds a nice touch. 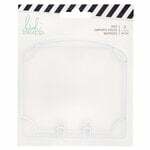 Much cheaper to buy through Scrapbook.com than in a retail store in Australia, even considering the exchange rate and shipping (which is VERY reasonable). These are so pretty. Have been watching the videos. I have been so excited to get my orders and can't wait to test everything. So many things can be made from these and the scallops give just the right touch! This product came quickly after I submitted my order. The seven will be fun to use as frames or in layering. I have used two and they cut beautifully. This is an awesome tool. I love the different sizes and the design it makes. I will be using this die a lot! I love this die. It cuts out well and is so versatile. It is a classic to have in your collection of dies. 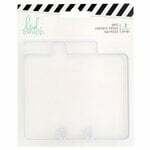 This is a great basic shape die that you will get a lot of use out of and Sizzix dies are well made. 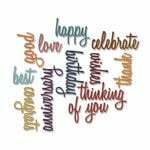 These dies are a welcome addition to my scrapbooking collection. Scalloped edges are really pretty. 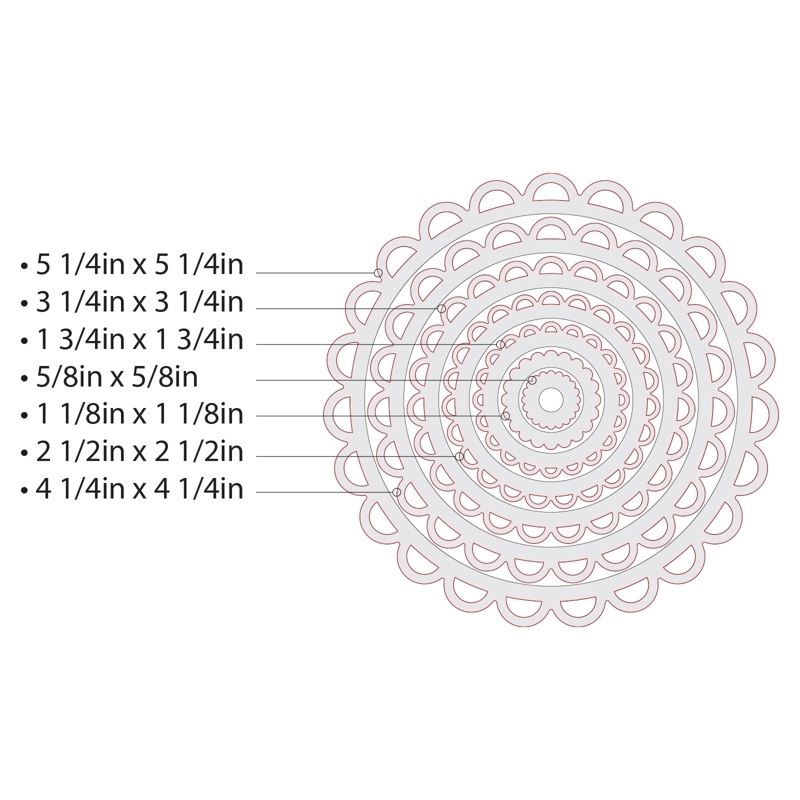 Sizzix Scallop circle framelits die. Can't wait to play with this, will be nice to have so many different sizes.